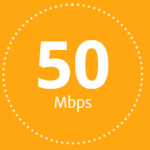 Sign up for Super-Speed Internet & Voice and get download speeds up to 50 Mbps for *$39.95/mo for six months with no contract, or lock in the promotional price with a 2-year contract. At the end of two years, the price returns to current package price at that time. Voice includes unlimited local & long distance calls in the US & Canada, call waiting & caller ID. Our new visual voicemail now allows messages to be transcribed and sent to you via email & text messages. Call Customer Service 24/7 at 1-800-365-6988 for more information or to set up installation. Learn More! Sign up for Ultra-Speed Internet & Voice and get download speeds up to 100 Mbps for *$49.95/mo for six months with no contract, or lock in the promotional price with a 2-year contract. At the end of two years, the price returns to current package price at that time. Voice includes unlimited local & long distance calls in the US & Canada, call waiting & caller ID. Our new visual voicemail now allows messages to be transcribed and sent to you via email & text messages. Call Customer Service 24/7 at 1-800-365-6988 for more information or to set up installation. Learn More! 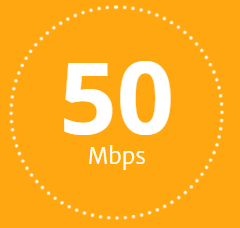 Sign up for Mega-Speed Internet & Voice and get download speeds up to 200 Mbps for *$64.95/mo for six months with no contract, or lock in the promotional price with a 2-year contract. At the end of two years, the price returns to current package price at that time. 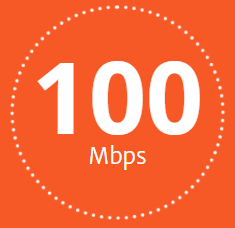 Mega-Speed Internet is available in select areas. Voice includes unlimited local & long distance calls in the US & Canada, call waiting & caller ID. Our new visual voicemail now allows messages to be transcribed and sent to you via email & text messages. Call Customer Service 24/7 at 1-800-365-6988 for more information or to set up installation. Learn More! standard installation only. Unlimited local and long distance calling is available for calls within the US & Canada only. Equipment necessary to receive services, taxes, surcharges, & fees are additional. Some services may not be available in all areas. 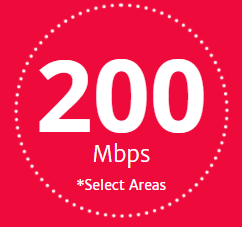 200 Mbps is not available everywhere. Restrictions may apply.